For Android users who have been patiently waiting for the launch of the new Yahoo News Digest on Google’s Android operating system, will now be pleased to know that it is officially available to download and install on Android devices. 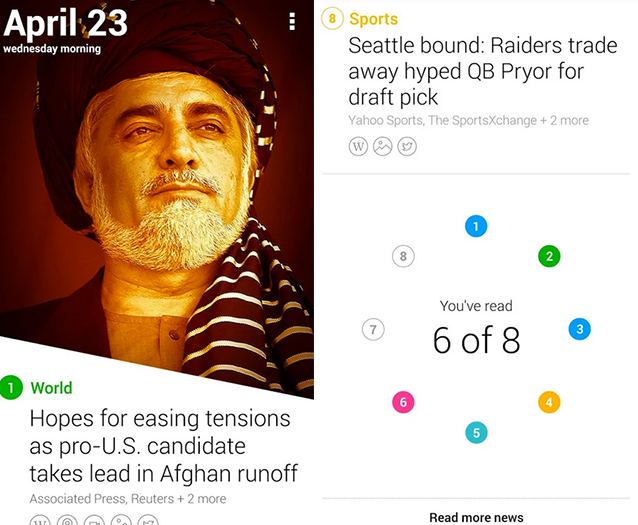 Yahoo has created a new Yahoo News Digest application to provide users with two daily updates of news which are easy and quick to read but contain everything you need to know about the news story, including graphs and diagrams where appropriate. The app was first unveiled back in the CES 2014 Consumer Electronics Show in Las Vega beginning of this year and since then has already launched on iOS devices. Yahoo has designed their new News Digest application to provide a selection of the top news stories for a variety of topics including Technology, Business and World News to name just a few with updates arriving in the morning and evening. With every story being created using their algorithms, which collect information from multiple news sources.